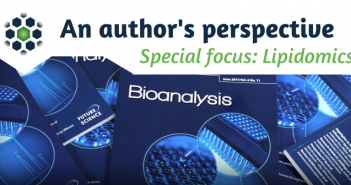 We talk to Erin Baker about her article, Evaluating Lipid Mediator Structural Complexity Using Ion Mobility Spectrometry Combined with Mass Spectrometry, published in the Bioanalysis Special Focus Issue on lipidomics. We talk to Piotr Rudzki about his work on graphical evaluation of unmatched incurred sample reanalysis. We talk to Christophe Hirtz about his research and LC–MRM and human saliva analysis. Find out more about our ‘An author’s perspective’ series, and navigate through our featured authors. We talk to Zheng Oyang about his career, emerging technologies and miniature mass spectrometry as a focus for his recent work. We talk to Jiangjiang (Chris) Zhu about his career, emerging technologies and MS-based metabolomics as a focus for his recent work. 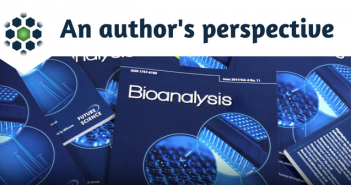 We talk to Brendon Kapinos about his career, emerging technologies and LC/MS/MS-based screening as a focus for his recent work. We talk to Gary J. Van Berkel about his career, emerging technologies and immediate drop on demand technology coupled with mass spectrometry as a focus for his recent work. 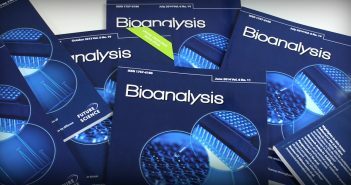 In this interview, we talk to Omnia Ismaiel on her latest article, ‘Do we have mature LC–MS/MS methodology for therapeutic monoclonal antibody bioanalysis?’.